New Zealanders are in the midst of a transformational change in how they use the internet, according to new figures from Spark New Zealand. “New Zealand consumers are embracing a digital lifestyle like never before. We’ve believed for several years that the video streaming revolution was coming, and now the proof is here with spectacular growth this year,” says Chris Quin, CEO, Spark Home, Mobile & Business, who will soon depart the telco to take up the role of Foodstuffs North Island CEO. 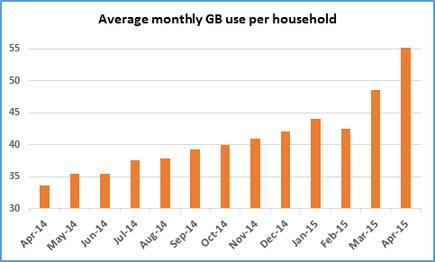 “Average monthly data use per household for Spark broadband customers has grown an incredible 29 percent in just three months, from 42.5GB in February 2015 to 55GB in April 2015. 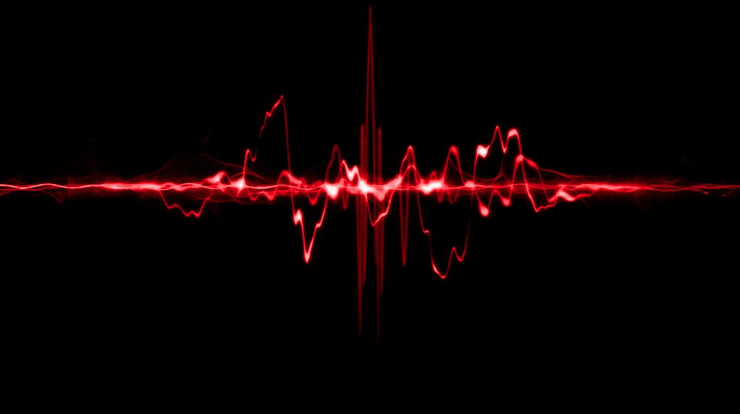 “The average New Zealand house is now using approximately as much data in a year as the whole of New Zealand used in a month back in the late 1990’s. According to Quin, overall internet traffic volumes on the Spark Network alone has grown a record 26 percent in the last three months to the end of March, with initial April estimates looking even higher and other industry players also seeing similar trends, both here and overseas. “There is a massive lifestyle and behavioural shift going on, with more and more New Zealanders than ever shifting to higher data or unlimited broadband plans, and enjoying online entertainment and other cool services with more freedom,” he explains. Echoing Quin’s comments, Lightbox CEO Kym Niblock says that the rise of video streaming services like Lightbox is also having a big impact on the way New Zealanders use the internet. “New online entertainment services such as Lightbox are rapidly becoming part of the lives of ordinary New Zealanders,” he adds. “Our figures show that peak bandwidth delivered by Lightbox has increased by over 400 percent since the beginning of January 2015. “It’s fantastic New Zealanders are embracing these new data-rich video services in the way they are, we think it’s the way of the future - and we know their demand is only going to increase,” he adds. Across New Zealand’s internet signs of congestion are starting to emerge, Quin observes. At present, Quin says “significant work” is already underway to fast-track planned Spark Network capacity upgrades, improve the telco’s ability to manage traffic loads and improve the overall network performance for customers. “We’re also working closely with key industry partners such as Chorus to ensure that upgrades we make align with any upgrades they are making in order to avoid potential bottlenecks,” he adds. “New Zealand broadband services are delivered to the home by a number of organisations, all dependent on each other. Read more Spark Digital asks… Is your business evolving, or going extinct? With more than 90 percent of New Zealanders still reliant on the copper broadband network, Quin was quick to emphasise that its important the industry works together to stay ahead of the video streaming revolution. “Spark New Zealand is committed to making sure our customers have the best broadband experience in New Zealand, and we’ll do what it takes to meet that commitment,” he adds.